Comment: Ranch home attic would like insulation blown in. Comment: Home is 57 years old; current attic insulation is down to a couple of inches. 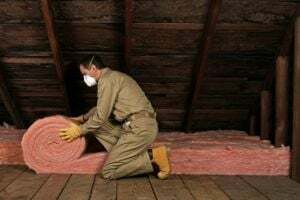 Looking for blown-in insulation to meet required code. Comment: I had the roof replace two (2) years ago. Mice were in the attic area and the insulation that was there needs to be replace. Lutherville Timonium Insulation Contractors are rated 4.64 out of 5 based on 587 reviews of 11 pros. Not Looking for Insulation Contractors in Lutherville Timonium, MD?